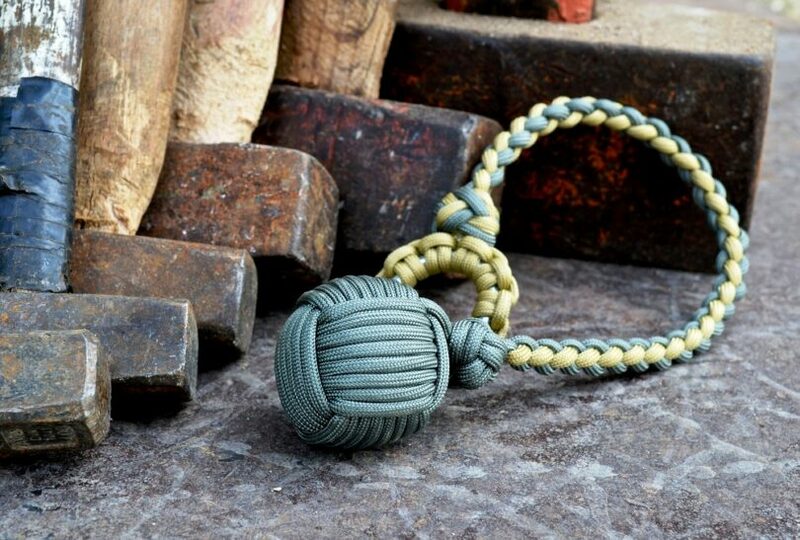 Monkey Ball Self Defense Keychain is a steel ball wrapped in thick heavy duty para cord. It’s a specific tying procedure that securely holds the steel ball in and creates a fist. In dark and lonely places like car parks, quiet streets and public spaces, have your hand around this for self defense will make you feel safer. 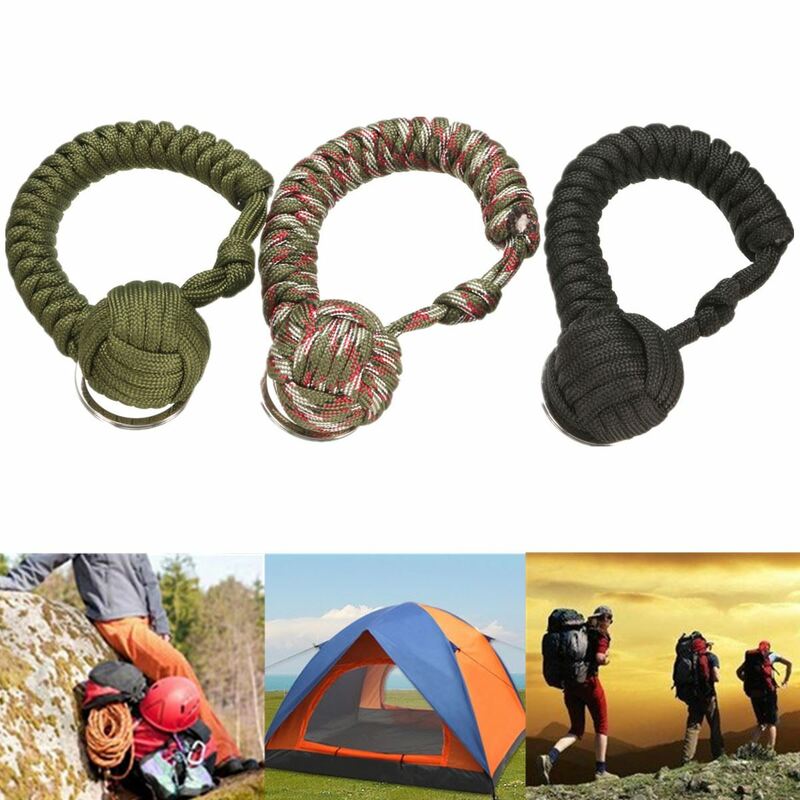 Take it walking, running, camping, shopping or traveling; perfect for daily wear or camping, traveling, adventuring or other outdoor activities. 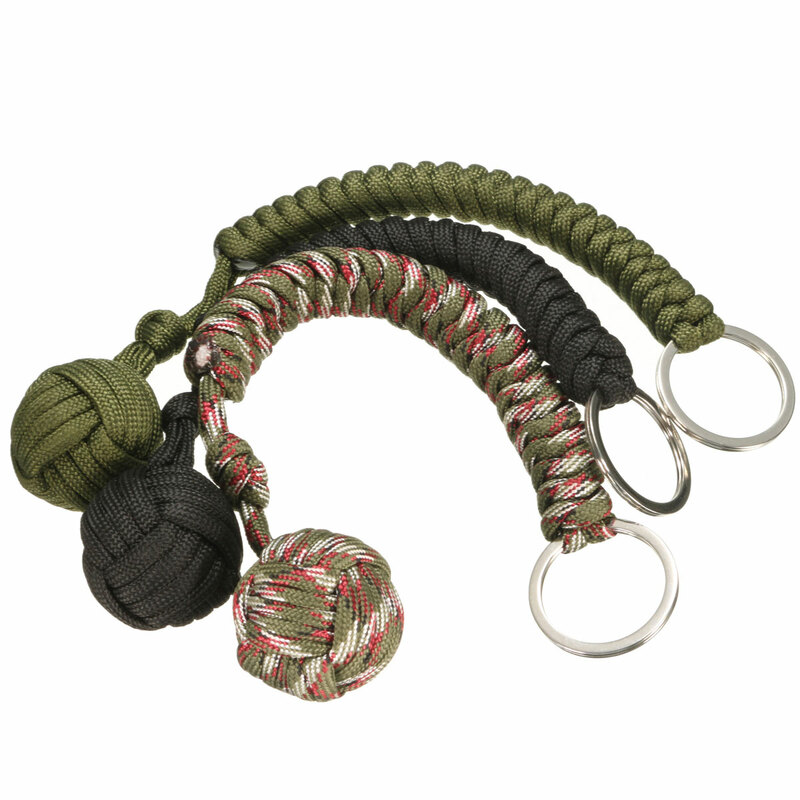 Knitted by 550 parachute cord and the lanyard (Monkey Ball) contains 2/3" steel ball. Can be used as a self-defense tool to deter an attacker, can be attached tokeys lanyard, necklace, zipper, knife or backpack etc. via the steel split ring as easy pulls. Can knit again if you don't like a loose fit on your wrist. Can be used a rope in necessity by release the knot of little ball. Corrosion resistance, anti-aging, single rope tension around 280 catties. Now, you do not need to worry about your safety! *DISCLAIMER*: We are not held liable for the misuse of this item, or items like this.